On 05/08/15 at 7:18 PM, deputies responded to the Fairplay Road, Mount Aukum area for a reported kidnapping by force. The suspect was allegedly armed with a gun and held a female adult against her will. The female was a passenger in the suspect’s vehicle, a GMC 4X4 Pickup Truck, headed towards Highway 50. On Highway 50 in the area of Red Hawk Parkway, the suspect vehicle was located and pulled over by Deputy Sean Gillespie. Deputy Bryan Payne and his partner assisted with the traffic stop. Due to the driver possibly being armed, the deputies had the occupants exit the vehicle at gunpoint. The driver was later identified as 34 year-old Sumanpreet Singh of Sacramento. Singh was not very cooperative with the deputies. He would not follow basic directions and actively pulled away and resisted when handcuffed. He appeared to have been drinking but refused to cooperate with a DUI Investigation. Searching his vehicle, deputies located a Smith & Wesson .40 caliber handgun and a Ruger .22 rifle. The female that was with Singh said she was scared but had not been kidnapped. Deputies transported her to Folsom where she could catch a ride home. 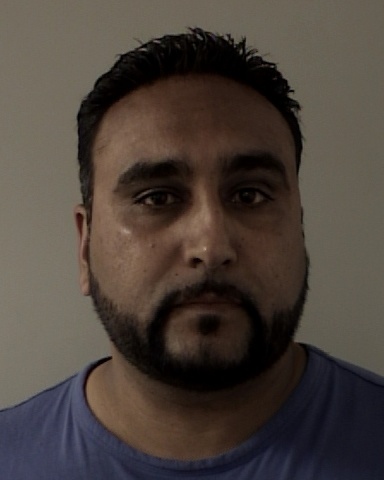 Singh was subsequently arrested for carrying a concealed firearm, under his immediate control in his vehicle, and resisting arrest. He was released on $10,000.00 bond.